A group of Palestinian human rights institutions on Sunday called on international organizations to investigate the nature of the gas used lately by the Israeli occupation forces (IOF) against Palestinian civilians. 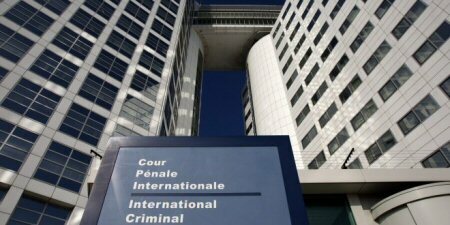 The institutions called in a statement on the International Criminal Court to open investigation into the IOF toxic gas attacks against Palestinians which are considered "war crimes" in accordance with Rome Statute. The statement highlighted previous statements by the spokesman for Gaza's Ministry of Health, Ashraf al-Qedra, in which he said that the IOF soldiers excessively fire an "unfamiliar gas" at protesters near Gaza's eastern border causing a notable increase in the suffocation cases during demonstrations. Qedra has confirmed that this is the first time that medical crews in Gaza have dealt with this kind of gas which causes almost complete paralysis to the person who inhales it accompanied by vomiting, breathing difficulty and convulsions. 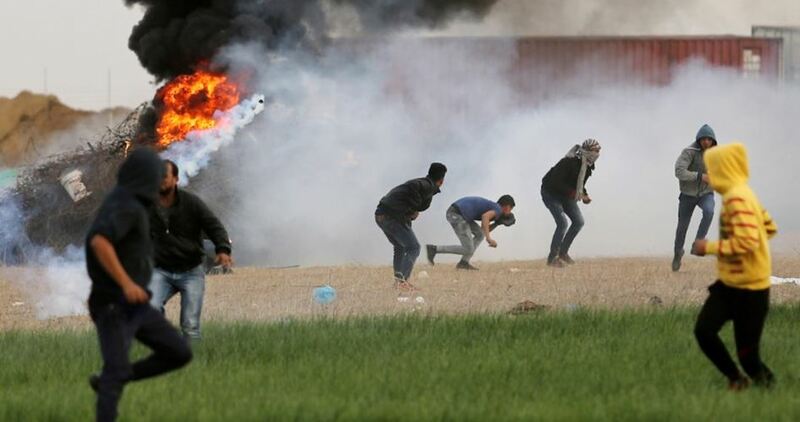 A number of Palestinians have been killed and hundreds injured as a result of Israel's excessive use of force against the Palestinian demonstrators protesting on a daily basis near Gaza's eastern border against the US recognition of Jerusalem as the capital of Israel on 6th December. The Palestinian human rights institutions urged local and international media platforms to expose the Israeli occupation's crimes against the Palestinian people, affirming that they will continue to follow up this file with the relevant international organizations. Four Palestinian human rights organizations, the Palestinian Centre for Human Rights, Al Mezan Center for Human Rights, Al Dameer Association for Human Rights and Al Haq, submitted their fifth substantive communication to the prosecutor at the International Criminal Court (ICC), during the Assembly of States Parties at the United Nations headquarters, last week. In the aftermath of the 2014 offensive, these organisations submitted a total of 369 criminal complaints to the Office of the Israeli Military Advocate General. The overwhelming majority of the alleged violations have not been investigated, while those that have been addressed were subject to unjustified delay. More than three years from the 2014 offensive, not one indictment has been issued in relation to the 369 complaints. More fundamentally, the communication explains that the limitation of Israel’s investigative system to only “exceptional incidents” precludes investigation of policy-level decisions and senior military and civilian officials whose acts and omissions resulted in the commission of crimes against humanity and war crimes against the civilian population in Gaza. “This clearly underscores that a genuine criminal investigation and prosecution process for these complaints is being systematically avoided”, said Raji Sourani, director of the Palestinian Centre for Human Rights. “The consequences are that legal accountability and justice will be deliberately denied the vast majority of victims and survivors—as has been the case following the two previous large-scale Israeli military offensives in Gaza”. The organizations conclude that the structure of the Israeli investigative system precludes effective, independent and impartial investigations, and does not operate in accordance with the requirements of international law. The Israeli investigative system accordingly fails to satisfy the complementarity requirements established in Article 17 of the ICC Statute. According to the PNN, this communication supplements the information that has been submitted to the prosecutor by the organizations since November 2015. The four previous communications contain evidence of the war crimes and crimes against humanity committed by high-level Israeli civilian and military officials in the occupied Palestinian territory, including East Jerusalem, since the ICC was granted jurisdiction over crimes committed since 13 June 2014. In light of the documented ongoing impunity for alleged serious and widespread violations of international criminal law, and the imperative to deter the possible commission of serious international crimes in the future, the human rights organizations urge the prosecutor to request authorization to proceed from the preliminary examination to a full investigation forthwith. “In so doing”, said Shawan Jabareen, director of Al Haq, “it is vital that the views of Palestinian victims are addressed in the interests of justice, and that full reparations are made. Witness accounts and video footage confirm that the Israeli army has been and is committing war crimes in dealing with the current wave of protests against the occupation, colonization, and ethnic cleansing in Palestine. On Friday, December 8, 2017 around 4:30 PM, ISM activists clearly witnessed and filmed a unit of of around 40 Israeli soldiers and commanders in the H1 area of Hebron – which, according to the 1997 Hebron agreement, should be fully controlled by the Palestinian Authority – intentionally injuring the backs, shoulders, and heads of two randomly arrested teens. Much of this occurred after they had been handcuffed, blindfolded, and were held in custody. The incidents took place shortly after the Israeli forces invaded Bab al-Zawiya from the military Checkpoint 56 (Shuhada Street in H2) and stormed more than 300 meters up Adel Street, as well as two other main civilian thoroughfares. The teens were captured near the Hasona Petrol station. If previous child arrests in that area are any indication, they were likely grabbed at random from the street without having been involved in any form of protest beforehand. The video evidence, a combination of 3 different camera positions, shows how cruelly the teens are treated by different soldiers, while and after they were handcuffed, blindfolded, and cooperating with the soldiers in walking to Israeli controlled H2. “Serious violations of international humanitarian law, including the mistreatment of persons in custody and deliberate attacks on civilians and civilian property, when committed with criminal intent amount to war crimes. Criminal intent requires purposeful or reckless action. Individuals may also be held criminally liable for attempting to commit a war crime, as well as assisting in, facilitating, aiding or abetting a war crime. Responsibility may also fall on persons ordering, planning, or instigating the commission of a war crime. Based on this definition, the video depicts a war crime committed by the Israeli army, for which it’s soldiers and commanders bear responsibility. The transfer, directly or indirectly, by the occupying power of its own civilian population into the territory it occupies. It is the obligation of all states that have signed the multiple international treaties violated here to stop these Israeli war crimes, and a duty of the people to put pressure on their governments to do so. Visit the official website of the International Solidarity Movement (ISM).